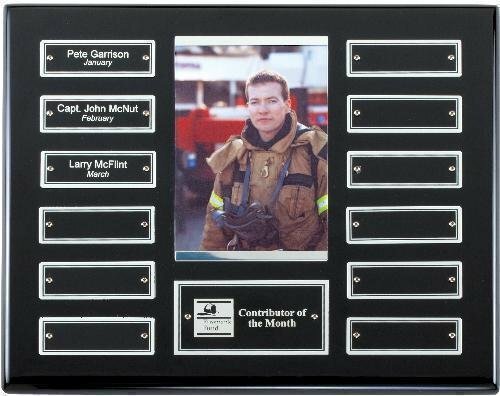 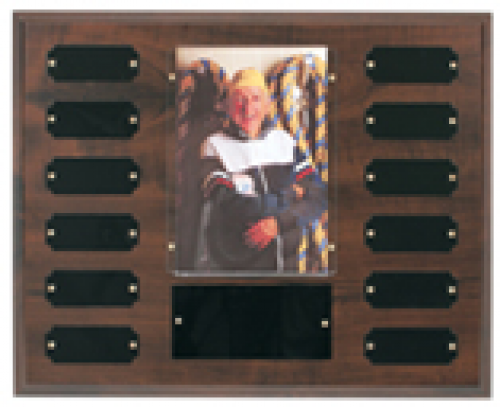 This cherry finish perpetual plaque features 12 black perpetual plates and a large black header plate, along with a clear sleeve to hold a photo. 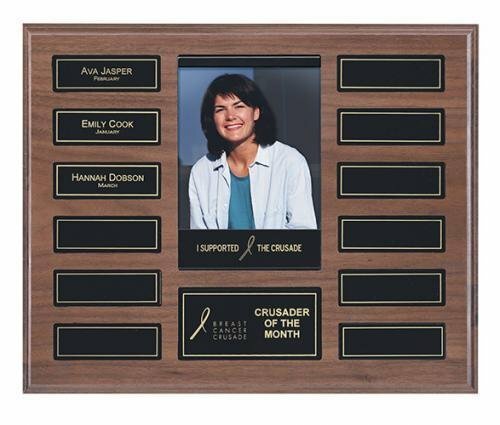 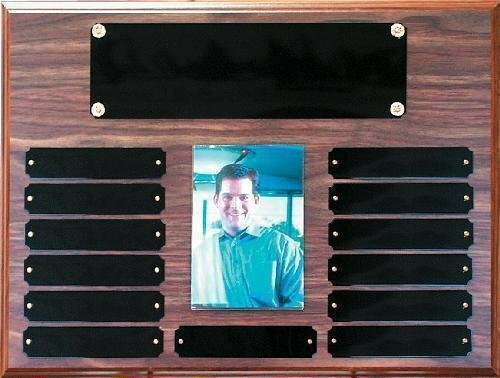 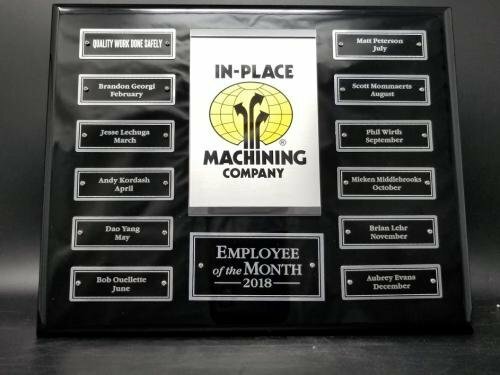 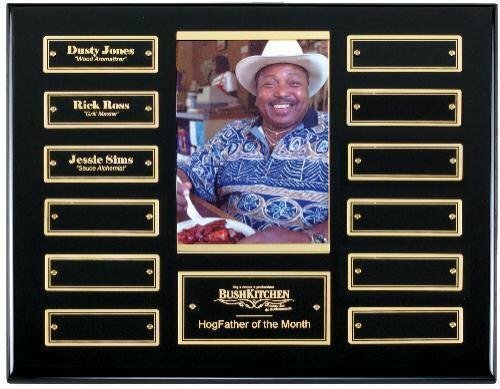 This plaque is just what you need for your Employee of the Month or similar award. 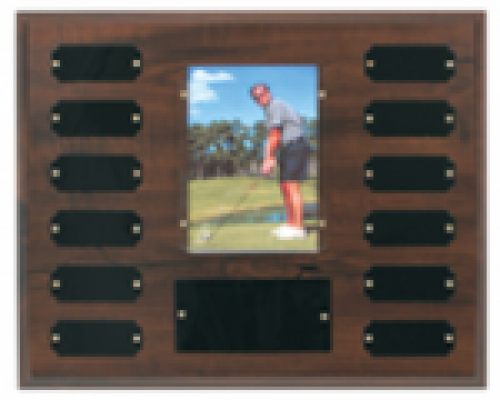 Cherry finish plaques are economically made made of MDF with a simulated cherry finish.